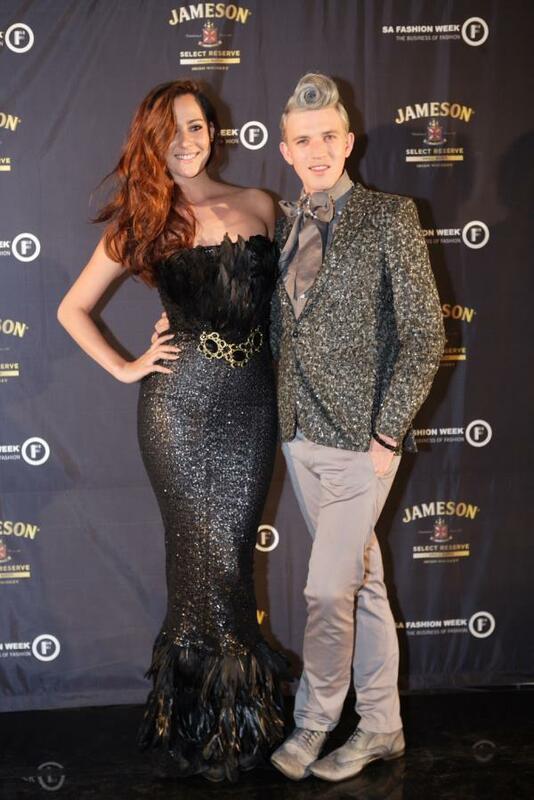 Acorn Lane was the venue for the official opening party for SA fashion week last night in Sandton. We were not disappointed; the who’s who of South Africa’s celebville came out in numbers and looked dazzling. Very few kept to the “perfection with a touch of green” theme. On our best dressed list was actress Jay Antsey dressed in Gert-Johan Coetzee, Top Billing presenter Lorna Lukhele and actress Khomotso Christopher, both clad in Rubicon. Rockville actress Boity Thulo stuck to the green them and turned heads with her jumpsuit. Vusi’s Dineo Moeketsi showed off her slimmer physique in a slick silver number. Also turning heads was Boity Thulo in a green short jumpsuit that showed off her well-toned legs and back. 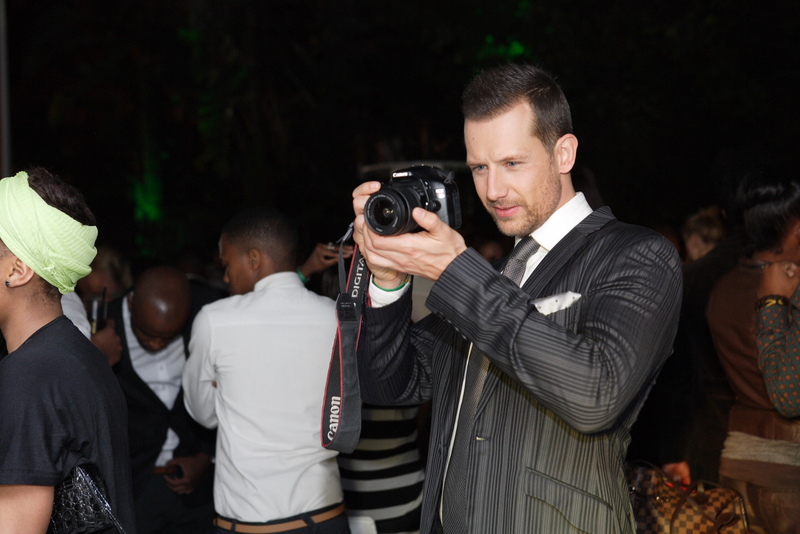 Dashing Top Billing presenter Jonathan Boynton-Lee tries his hand at photography. We prefer you in front of the camera, J! The men didn’t hold back either – both Top Billing presenter Jonathan Boynton-Lee and musician Nathan Ro looked dashing in navy blue suits. The ever gracious Natalie du Toit tried to keep a very low profile but didn’t succeed much as people kept asking to take a picture with her. The dance floor was packed as surprise act The Arrows gave a grand performance and finished it off with their hit single Spin my world around, a collab with DJ Kent on the decks. SA Fashion week will be from the 3rd to 7th of October 2013. See our gallery here.